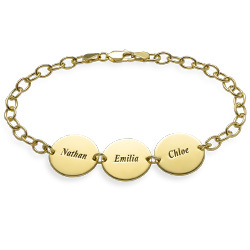 The perfect gift for that mom who always embraces the latest jewelry styles, our 3D Bar Gold Plated Necklace combines the hammered, hand-stamped jewelry trend with a wonderful geometric profile. 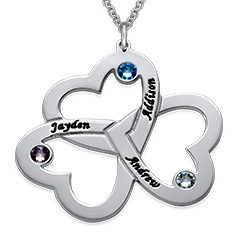 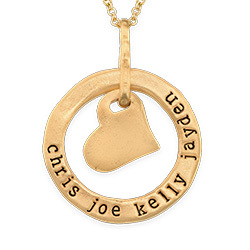 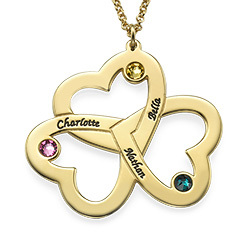 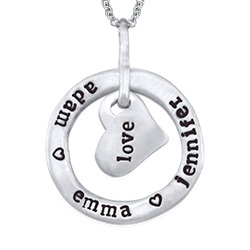 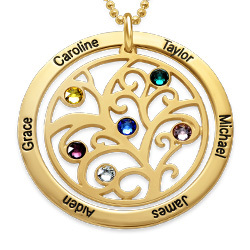 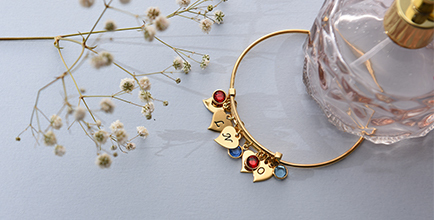 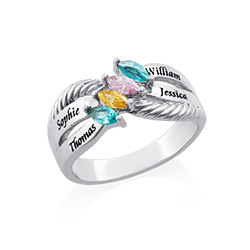 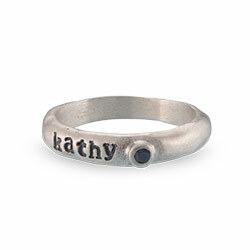 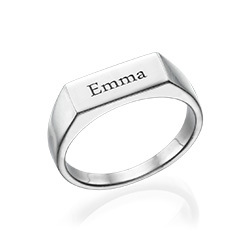 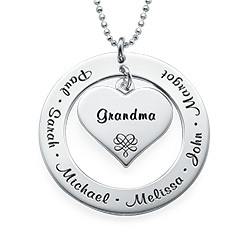 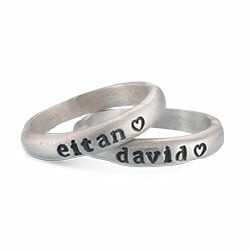 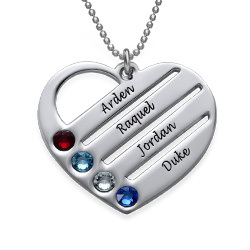 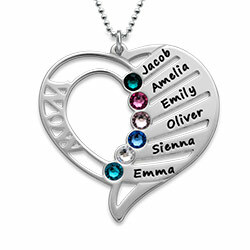 Customized with meaningful inscriptions such as children’s names or encouraging words, it’s a piece she’ll love to show off. 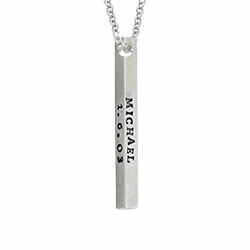 This vertical bar necklace is made with sterling silver and 18k gold plating, and comes complete with a matching rolo chain in your choice of lengths. 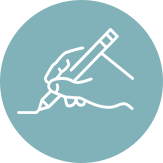 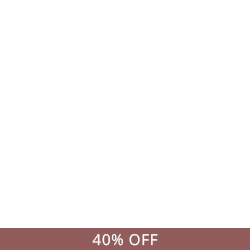 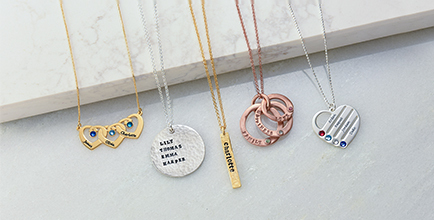 Simply choose between one and four bars to personalize as you wish, and you’ve created a unique masterpiece! 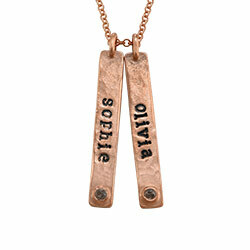 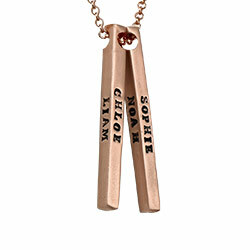 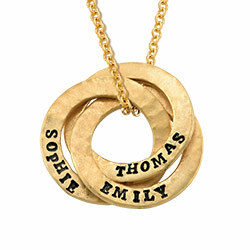 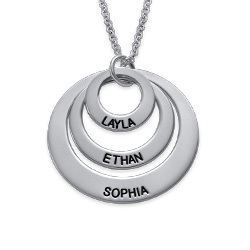 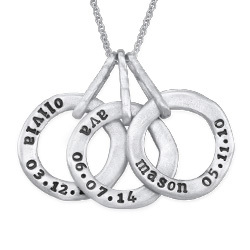 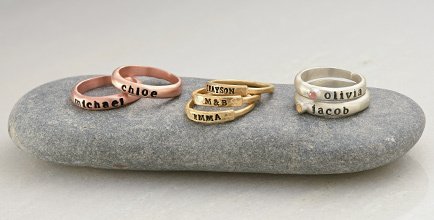 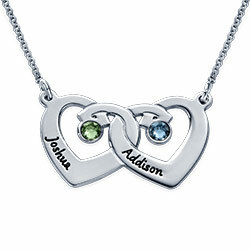 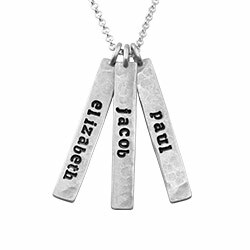 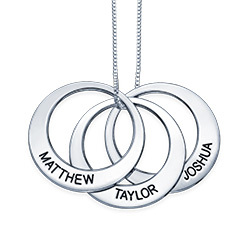 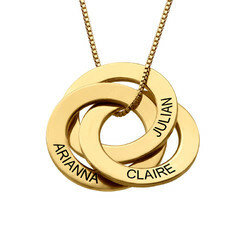 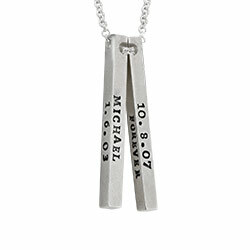 See our collection for even more name bar necklaces.